To celebrate Record Store Day on April 16, DENGUE FEVER’s new album, Cannibal Courtship will be available on limited edition vinyl three days before the CD street date. DENGUE FEVER guitarist Zac Holtzman hand-crafted five golden tickets that will be randomly inserted into record store day vinyl of Cannibal Courtship. 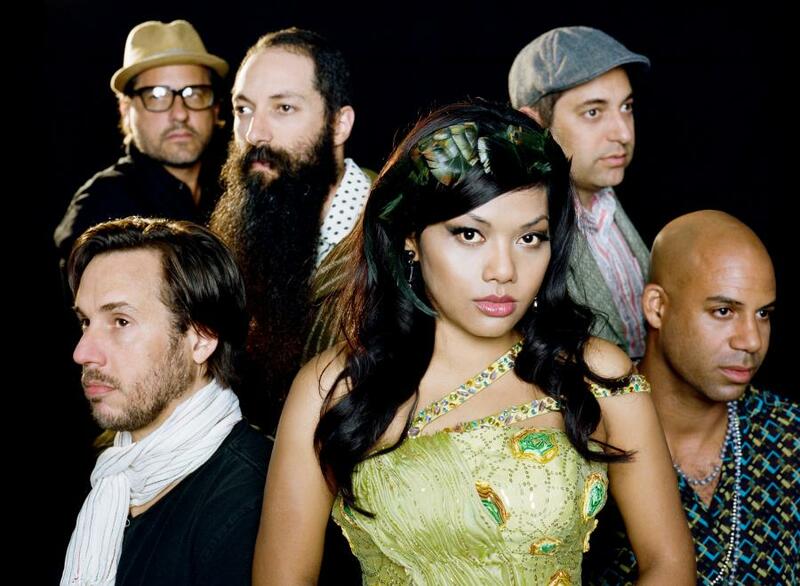 The recipients of the golden tickets will be granted free entry to any headline show by DENGUE FEVER through December 31, 2012. Full sweepstakes details will be on the band’s website (www.denguefevermusic.com) on Record Store Day. We're still waiting to hear the full album, but you can stream the track "Cement Slippers" here, and you can download it in exchange for your email address here.